How can I reach my basketball goals by reading these Coaching U Live Notes? 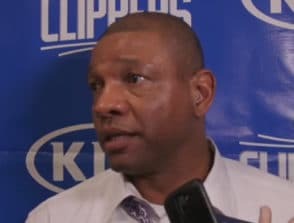 Doc Rivers is an excellent example of how to reach your basketball goals and bring your team along. 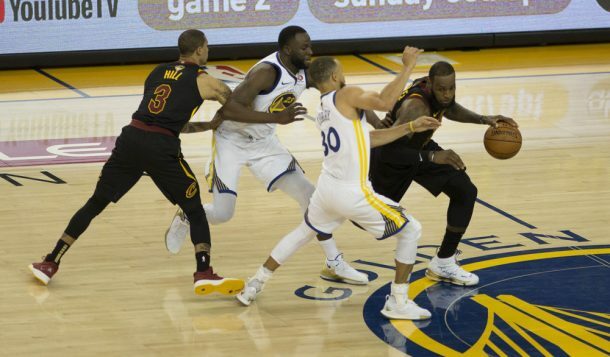 You need to get your best player to be the leader of your team. Football teams have eleven guys out there, and they execute, but we struggle with five players? The two ways to do it are culture and getting them to huddle after every play. Brian Billick told Doc Rivers after a Celtic’s game that he doesn’t like basketball, because of the speed and the fact that you can’t control the game. Coach Rivers pointed out that in a game that they average 93 possessions and about 47 dead ball situations a game. So you get 47 chances for your team to huddle in a game. Are your players always on the same page? NBA has about 92 possessions in a game; how many in high school; 47 in a game per team; dead balls, too, etc…is how you can impact the game. The little things are what makes a play work. They must have bought into what you are teaching. Its not what you know, but how you can get your players to believe. Execution all about the buy in. Are your players bought in? It’s great to have knowledge, but it’s far more important to get your players to buy into what you are doing. It’s not what you know; it’s what you can get your players to buy in to. 3. Must buy into the cause – What’s your reason for the season. What are you playing for? 2. What you’re goals are. 3. Remind them of their roles. Ask players to Trust you, to drop their guard and accept what you ask them to do/their part. – Make sure they understand roles can change through the season – work to get better! Your job as the coach is to make them think their role is the most important role on the team, or that you cannot win without that role! Encourage them to accept their part and be a STAR inside that role! Your role is a sacrifice… a sacrifice for the team! When you sacrifice for the team, it forces you to invest in the team! MJ’s “Trophy Tour” story. – Role players will struggle with their role after tasting success. They’ve been on the trophy tour all summer! Continually work on your people skills as a coach; Always strive to build leaders. If you want to be a successful coach, you have to get your hands dirty every single day! You have to listen as a coach – players know stuff and can see things on the court you might not see. Great Partnerships in Sports History: Very important to build relationships with players. What hurts the Celtics this year was Doc couldn’t get individual players to buy into their roles. Doesn’t matter your coaching style, you have to be a relationship builder. Just because a player doesn’t buy into the role/system doesn’t make that player a bad guy. Continue to work on the relationship, don’t let them be the negative force to your team. How do you coach mental toughness? Make your seniors or leaders eliminate the “whispers” on the team. That won’t happen on our side; the top guys put a stop to it fast! The coaches can’t be the leaders ALL the time; players have to step up and lead also. You will always have “Mavericks” on your team – players that don’t fully believe 100% of what is taught. It’s all about reaching players – Build those relationships! Hit those basketball goals. Regularly read books/articles so you can bring something new to your team every day! Cows are the low character guys; how many can you have before the herd follows them?